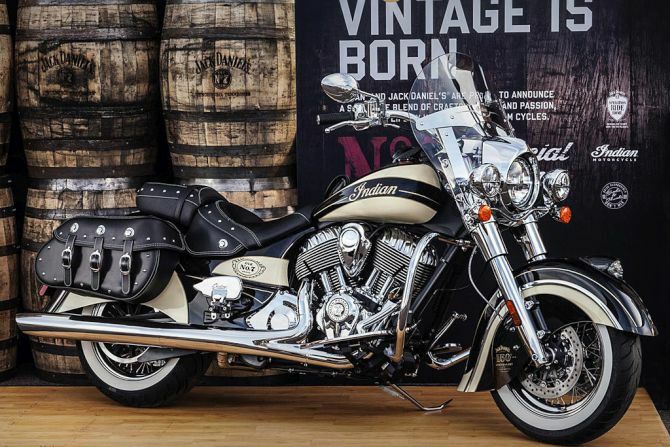 Taking the iconic Indian Chief Vintage platform to a different level, the 2016 Limited Edition Jack Daniel’s Indian Chief Vintage will be offered in very limited numbers. 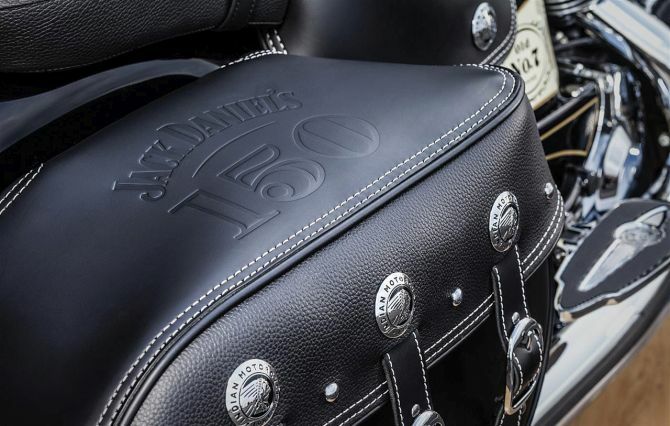 The custom bike will come with Jack Daniel’s-inspired custom paint and logos, badging, leather saddle and saddlebags. Besides that, it will feature a range of genuine Indian Motorcycle accessories and custom accessories. 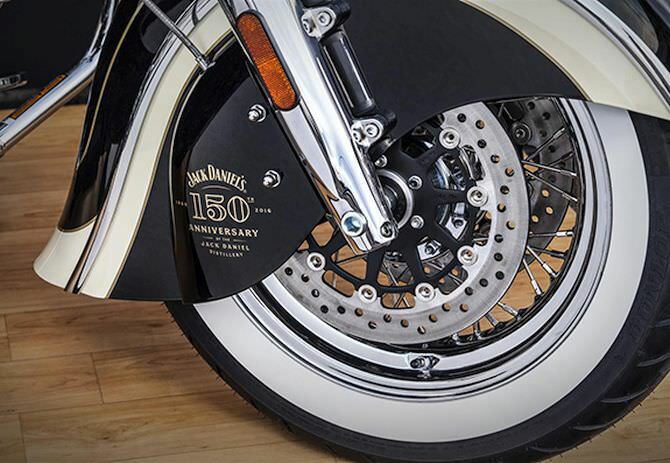 The bike’s fender is also inscribed with the signatures of Jack Daniel’s seven master distillers who have watched over the Jack Daniel’s distilling process since 1866. Brian Klock and his team at Klock Werks in Mitchell, S.D. has designed and completed the final customization work. This one-of-a-kind motorcycle will also feature an engraved slogan saying ‘Bottles and Throttles Don’t Mix’ to remind people that drinking and riding are meant to be enjoyed separately. 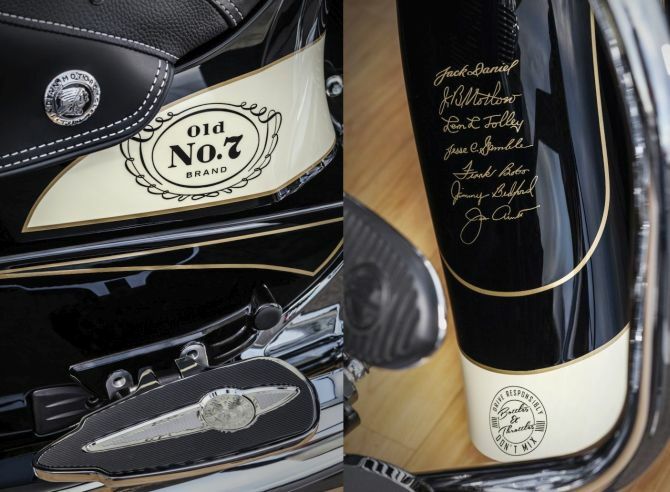 This anniversary edition motorcycle is scheduled to make appearances at a series of events throughout 2016. After Barrett-Jackson, it will be showcased at the Daytona Bike Week in March. Finally, this display bike will be auctioned at the Barrett-Jackson Auction in Las Vegas which will takes place in the first week of Octobar, 2016. 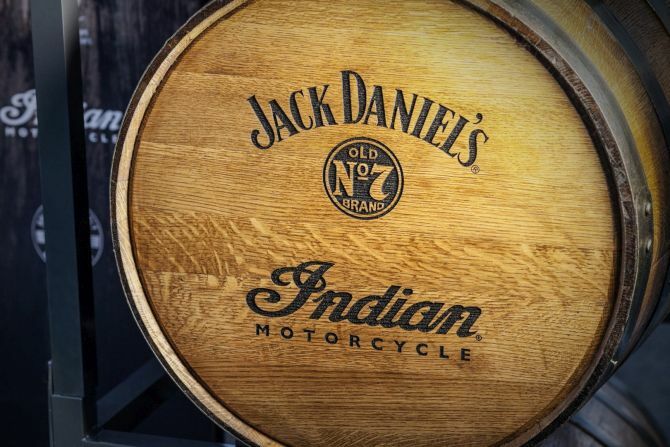 The money raised from the charity auction will be donated to support “Operation Ride Home,” a joint venture between the Jack Daniel Distillery and the Armed Services YMCA. This service provides funding and travel assistance to help junior-enlisted military personnel spend time with their families during the holiday season. Additional details on the production schedule and ordering process of the 2016 Limited Edition Jack Daniel’s Indian Chief Vintage will be released during Daytona Bike Week.